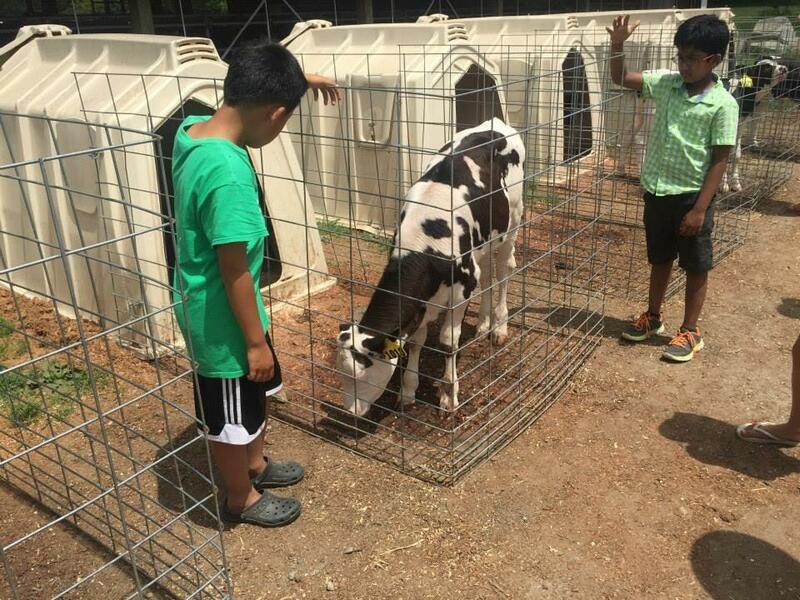 College for Kids students visited Great Brook State Farm in Carlisle. While a typical school year is packed with academic requirements needed for college, more and more students are taking advantage of the summer months for experiences beyond the classroom. Whether it’s taking a one-week engineering course at a high school in Kingston, spending weeks away to get a taste of college life in Chestnut Hill, setting aside a few hours to volunteer for a family festival in Danvers, or interning at a chemistry lab, there is no shortage of options for middle and high school students looking to keep busy and explore career opportunities this summer. Students can live on campus or commute and take a variety of courses such as molecular gastronomy, fashion design, the business of sports, neuropsychology and commercial architecture. Costs range from about $2,700 for a three-week day program to $6,000 for a residential program. Explo also offers shorter programs in which students zero in one topic such as sports medicine orthopedics, emergency medicine or veterinary medicine. Joy LeBlanc, a guidance counselor at Danvers High School, said many students work part-time jobs, visit college campuses, prepare for the SATs or volunteer to help fulfill a community service graduation requirement at school. But more and more she’s seeing students take part in pre-college programs. The programs are offered at many local universities to give students a first-hand look at college life or an opportunity to focus on an area of interest. Boston College, for example offers the BC Experience, a six-week residential program that costs $7,000. But students don’t necessarily have to travel far or spend much money to get a college-like experience. Middlesex Community College offers a College for Kids program on its Bedford and Lowell campuses. The cost ranges from about $200 to $400 a week. Students can take classes that range from aviation and simulation, to fashion to designing a hovercraft. Program director Marci Barnes said the classes are designed to be more educational than a typical recreational summer program but also fun. For many students, a class at MCC is just one part of a well-rounded summer experience that often includes a town rec camp and time at a lake, she said. “You have to keep that fun aspect or kids won’t like it,’’ she said. As high school and even middle school students look toward career-oriented programs, fewer are joining the workforce in the summer. A nationwide teen summer job outlook released recently by global outplacement firm Challenger, Gray & Christmas, Inc., showed that the number of job opportunities should increase in the summer months. However, the number of teens seeking and finding summer jobs has declined in each of the last three years – a trend that is likely to continue in 2016 as students look elsewhere to fill their time. That doesn’t mean they aren’t working, however. Telma Sullivan, internship and career exploration program coordinator at the Education Cooperative in Walpole, said interest in internships has been on the rise. The cooperative supports 15 public school districts with a variety of programs, including student internships. Sullivan said the program, around for 20 years, places about 120 students in a four-week career exploration internship each summer. Sullivan said once students are accepted into the program, the organization finds a placement to match their interest. The top five choices last year were medical research, engineering, finance, business and computer science. Interest so far this year is in biology, chemistry, medical research, biotechnology and engineering, she said. Sullivan said the students find out what professionals do on a daily basis, how an organization operates, and the expectations of a workplace. She said it’s also a way for students to learn more about jobs they didn’t even know existed. Watching students discover a new area of interest is the most exciting part about the summer program at Sacred Heart School in Kingston, said program director Dylan Collins. The school started a new summer program last year and expanded this year to create SHIELD --the Sacred Heart Interdisciplinary Education Leadership Development program. The one-week electives are designed to meet the specific interests of students and better prepare them for future studies. Collins said he started the program last year after seeing families on the South Shore travel great distances to take part in career exploration programs. The program had 200 students from 20 area schools last year and he hopes it grows. A typical one-week class is about $400. Summer course offerings include eight engineering programs taught by Northeastern University professors, an Entrepreneur Academy that includes a certificate from Babson College and art programs such as creative writing and comic book illustration. 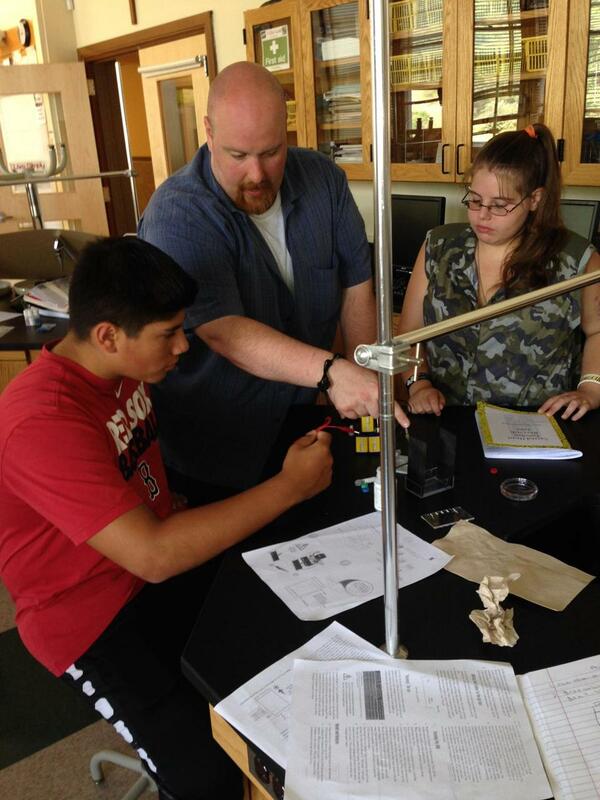 Instructor Greg Morehouse helps forensic science students at Sacred Heart.